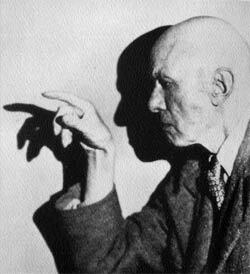 Aleister Crowley -The “Greatest” Magician of the 20th Century? Aleister Crowley—The “Greatest” Magician of the 20th Century? Aleister Crowley is probably the Black Magician who is the most popular foreground figure in Hollywood and the Music Industry today. He is considered being the one who “invented” backward messages on music recordings (used by The Beatles, Led Zeppelin and The Rolling Stones to name a few). A great percentage of the rock/rap/hip hop musicians of the 50’s, 60’s, 70’s, 80’s and 90’s are highly influenced by this occult, black magician. 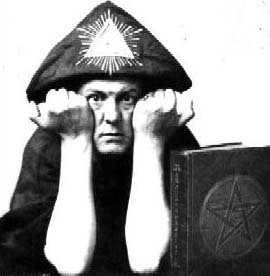 Aleister Crowley is the occultist and Satanist that is perhaps the most well known. His works “The Book of the Law”, “Magick in Theory and Practice” and “The Book of Thoth” are broadly used in occult circuits. Crowley himself didn’t take much credit for having written them, as he stated they were written by automatic handwriting, being channeled from a higher being called Aiwaz (or Aiwass). This being said he had lived in Caldea during the reign of Hammurabis (around 1750 BC), but later, in his book “Magick in Theory and Practice”, Crowley identified Aiwaz as his own genius. He was actually very proud of this book, which he used as a Bible for his own religion – Thelema. Crowley looked at man as a sleeping god who gradually started to understand what powers he possesses. 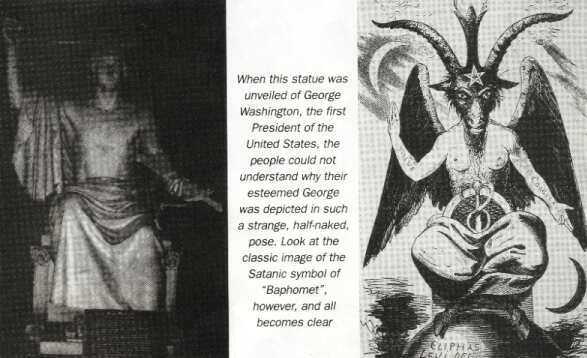 He also taught that Satan was identical with the Sumerian devil/god Shaitan, who he stated had been worshiped in the Egyptian deserts long before the ages of the Pharaohs. People who met Crowley verified that he had occult powers, and as an example William Seabrook tells the following story: Seabrook wanted a demonstration of Crowley’s powers, so the latter chose a man by random out on the street and followed him, imitating his walk. Suddenly Crowley fell, but was rapidly on his feet again. At the same time the other man fell on the sidewalk. Crowley and his companion helped the man up, and he looked confused, trying to find the banana peel. Crowley was also the man who came up with putting backwards messages into musical recordings. Beatles, the Rolling Stones and Led Zeppelin used this on some of their albums. Jimmy Page put a backward satanic message on the mega hit “Stairway to Heaven” (“Here’s to my sweet Satan”). Page also bought Crowley’s mansion in Scotland and was/is a true follower of his teaching, as was the late drummer John Bonham from the same group. Beatles also used backwards messages like “Paul is dead” on their albums and Crowley’s head is present on the cover of “Sgt. Pepper’s Lonely Hearts Club Band”. Crowley’s messenger taught that the old Age of Osiris soon would follow by the new Age of Horus. But first Earth must bathe in blood. There should be a World War. The Book of Law told about a race of Superhuman and condemned the old religions, the pacifism, democracy, compassion and humanity. “Let my servants be few and secret, they shall reign over the many and the known”, the Superhuman continued. The rest of the message goes in the same spirit. The lower races should be humiliated and condemned and even killed. It taught “no mercy”. 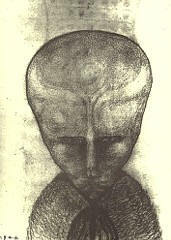 [Long before the Roswell incident, where a flying saucer crashed in the desert and dead aliens were found, Crowley made a drawing of one of his “messengers” called Lam – the drawing is almost identical with the Grey Aliens, who nowadays are so broadly mentioned and used in movies and among abducted]. In his book “Confessions ...”, Crowley claimed that he had been initiated as a 33rd Degree Mason in the Ancient and Accepted Rite of Masonry (A&AR). He probably did this in Mexico, where he went after breaking up with the Golden Dawn. At this time (around 1900) there was a lot of Masonic activity in South America. However, there is some confusion regarding this, as you have to be a Master Mason to be initiated on the Higher Grades, and by this time Crowley hadn’t gone through the grades required, so either he made it up or was granted the 33 degree without prerequisites necessary. In his own words he received the initiation after he had helped an individual with another mystical order called LIL. No one knows for sure what the real truth is. Crowley was notoriously perverse in both his personal and professional life. But, though he was to all intents and purposes a sort of inspired lunatic, he did practice all he preached, a rare enough commodity these days to command respect. The central event in his life was undoubtedly the writing of “The Book of the Law”, an event that was to give him the most grief but also the most gratification in his long and fruitful career. Apart from anything else, it fulfilled his fantasies, from the most exalted to the basest and most abominable. 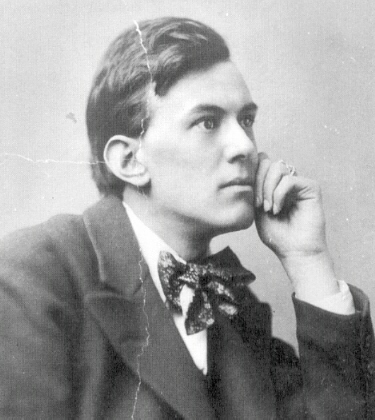 In distinction, Crowley claimed that, on the 8th of April 1904—in Cairo at 12 noon exactly and for the following two days at the exact same time—he actually heard a voice in his ear, dictating the words of the text (as if through some transmitter in his brain), and that he transcribed them faithfully. It was not “inspired,” then, so much as received. The voice itself claimed to be that of Aiwass, or Aiwaz, “the minister of Hoor-paar-kraat,” or otherwise, Horus—the god of force and fire, child of Isis and Osiris, and self-appointed conquering lord of the New Aeon, officially announced through his chosen scribe, “the prince-priest the Beast.” This much of Crowley’s controversial life and claims is more or less confirmed. It is, as promised, to be found there in the writings themselves. Anyone who has read the work, and suffered the resulting conflictive feelings of admiration and disgust, will not doubt that there is something about the “little red book” that puts it in a class on its own. It might be argued that it is simply the work of a poetic genius, were it not for the fact that Crowley was to prove again and again in subsequent works that, for all his magickal prowess and philosophical brilliance, he was anything but a poetic genius. It seems rather as though the book partakes not of the qualities of Crowley, but that, conversely, Crowley himself grew over time to partake of the qualities of the book. And this he did, by his own admission, with boundless reluctance and distaste. The work itself, not for its artistic merit so much as its sheer intensity and relevance to our times, is perhaps the most substantial evidence for the much-insisted upon (by Crowley) greatness of its puppet-author. Yet Crowley also claimed to revile and disdain the work (particularly the third chapter) for many years, above all for its barbaric and warlike diatribes, and its ruthless rejection of all philosophies and creeds previous to it, its utter savage as it let fly its war cry and word of the Aeon (be it anarchy or be it harmony): Do What Thou Wilt Shall Be The Whole Of The Law! Crowley’s involvement in espionage on both sides of the first and second world wars (he worked for both US and British intelligence writing deliberately “absurd,” i.e., counter-productive, German propaganda during the first) is well known and presumably well-documented. Nevertheless it is extremely difficult to find any author anywhere who will admit to Crowley’s involvement with Hitler, despite the fact that Crowley himself confessed, or more accurately bragged, about it to his associates. Yet, Hitler’s interest, nay obsession, with the occult is well-known and there are dozens of books upon the subject, of varying degrees of ludicrousness and sensationalism (it even served for the plot of the pulp action movie Raiders of the Lost Ark). It is a well-known fact that he set out either to recruit or to persecute all practicing occultists in Germany, and Crowley eventually found himself on the “shitlist” too, which by no means refutes the possibility of their working together. (The apparent vilification of Crowley might have been simple cover, or even genuine but as a result of a “falling out” between the two men.) The fact remains that at the deepest, most occult level, and behind the political facades and the theatre of war performed for the public, the most powerful factions—occult and economic—of both Germany and Britain were not enemies but allies, bound together in the one great war for the conquest of men’s souls and minds. This in itself makes it highly probable that Hitler and Crowley would have met, and that some relationship existed between the two men of such different characters, but sharing so similar an obsession. Perhaps even it was a relationship similar to that shared by Rasputin and the Tsar and Tsaress of Russia at roughly the same time—the one priest, the other king, and each equally benefiting from the favors of the other? In truth, Nazism was as much a global phenomenon as was Christianity 2000 years before (though it required considerably less time and effort to take hold), and there was little likelihood that a minor setback such as the collapse of the Third Reich in 1945 would quench the raging ideological pseudo-religious thirst and fervour of such a movement. The explosion of rage might be checked and contained—and so postponed—but the collective psyche which had spawned it could by no means be so easily satisfied: Because Nazism was no aberration, but rather the NATURAL AND LOGICAL development of a global wave of systemized, ritualized and economized warfare. It was the realization of an age-old political dream—the perfected face of tyranny. Hence, while to all the world it appeared as if Nazism suffered a mortal defeat at the end of the war, in reality, it merely underwent a sophisticated facelift. Behind the wholesale destruction of Germany and Hiroshima, and the empty facade of the Nuremberg trials, another, occult agenda was being pursued—that of establishing a secret treaty between the Nazis and the Allies—specifically the American Intelligence community—through which Hitler’s goals and dreams would be subtly resumed, albeit in a mutated form, and continue to manifest over the years in only thinly disguised ways. "For he who is ignorant until the end is a creature of oblivion, and he will vanish along with it." The war-like nature of many of the passages in Liber Al would seem to be a direct response to this. It seems to treat of this condition as a disease that must be purged, like a boil brought to a head, in order that it might be squeezed finally out of existence. To read many of his other writings, however, leaves one in little doubt that Crowley, like Nietzsche before him, was a kind of proto-Nazi (though he abhorred all forms of fascism, just as Nietzsche despised anti-Semitism). On the other hand, Hitler himself doubtless aspired to both immortality as a world-avatar and invulnerability as the chosen “Savage Emperor” of the New Aeon: his Fourth Reich/Millenium of peace, prosperity and perfection is illustrative of this insane mix of the best intentions with the very worst of methods. There seems little doubt that, for his part, Hitler believed that worldwide destruction was a necessary process, by which to pave the way for a new evolutionary step for mankind. Crowley himself also considered contact with these beings the next, inevitable, evolutionary step for mankind as a whole, and it is an indisputable fact that the SS—and Nazism as a whole—was established upon an occult basis, and that its inner structures and purposes were not merely political, but also magickal. The Beatles, Ozzy Osbourne, and Led Zeppelin guitarist Jimmy Page are all in the music biz. The backward message issue comes in to play here as well. Musicians (those Satan worshipping loonies) have used hidden messages to coerce young people to kill their parents, bite heads off of animals, and otherwise justify insane acts of violence. Just kidding. But the accusations fly, and have for a long time. Ozzy Osbourne (the Black Sabbath frontman who went solo, then rejoined Black Sabbath after sobering up) has a song called “Mr. 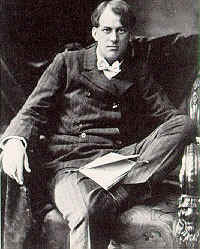 Crowley,” which refers to none other than Aleister Crowley.